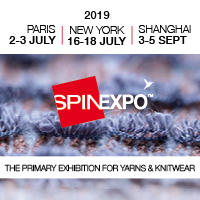 Lonati has developed a new true linking or stitch by stitch linking system, designated S by S, for their Goal series men’s sock machines, where the linking system is independent to the knitting machine. The company exhibited its new Goal GL616 SbyS, machine at the recent Santoni Days event in Brescia. The machine on show was a prototype machine but Lonati are expected to be testing the machine with customers before commencing manufacture towards the end of this year. SbyS will now be a direct competitor for Sangiacomo's Classic true linking system, a new version of which was also shown at Santoni Dyas. Like Lonati, Sangiacomo introduced the Classic system as an alternative to their Lintoe system. Neither Sangiacomo's Lintoe nor Lonati's Closed Toe were considered good enough for high quality men's socks but were good enough for sports socks. The race is now on to see which systems comes out top in high quality mens socks. The Goal GL616 SbyS is a single cylinder, single feed machine for the production of socks and pantyhose which is capable of producing multicolour patterns, with reciprocated heel. The machine is available in 3 ¾” diameter, in gauges 6 to 17 and has a maximum speed on 350rpm on plain knitting and 300rpm with pattern or terry structure.